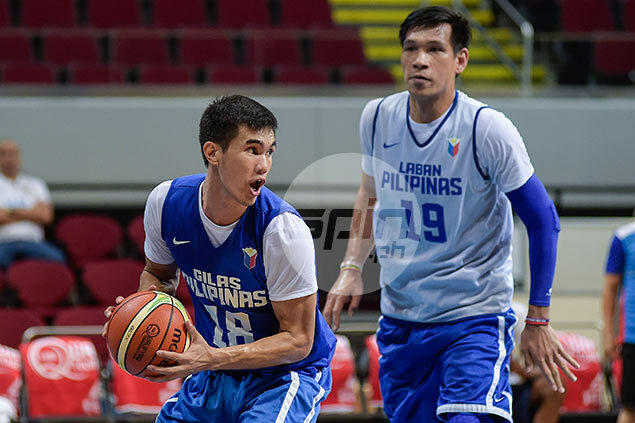 Troy Rosario's arrival adds international experience to a pool that has become much younger following the departure of longtime Gilas mainstays Gabe Norwood, Jeff Chan, Ranidel De Ocampo and Marc Pingris. TROY Rosario has been given the green light by both the PBA and TNT management to join the Gilas 5.0 pool, national coach Chot Reyes announced on Tuesday. Reyes had expressed a desire to include Rosario in the pool on Sunday shortly after announcing the 12 new members of the pool outside the Gilas cadets. However, his hands were tied by the one-player-per-PBA-team policy after Rosario's teammate at TNT, Jayson Castro, was convinced to come out of international retirement and rejoin Gilas. Now, his wish has been granted. With Rosario's call-up, TNT became the first PBA team lend an extra player to the 25-man Gilas pool outside of the 12 PBA stars picked by Reyes and the 12 Gilas cadets who were picked by the teams in a special draft. More importantly, the arrival of Rosario brings in another player with international experience to a pool that has become much younger following the departure of longtime Gilas mainstays Gabe Norwood, Jeff Chan, Ranidel De Ocampo and Marc Pingris. Only 25, Rosario has already seen action in the Southeast Asian Games and Seaba championship, winning gold both times, and was part of the Gilas pool of Tab Baldwin for the 2015 Fiba Asia Championship in China. The former National University star also addresses a glaring need for more depth in Reyes' frontline, which mostly has young, untested big men outside of the seasoned trio of June Mar Fajardo of Japeth Aguilar.